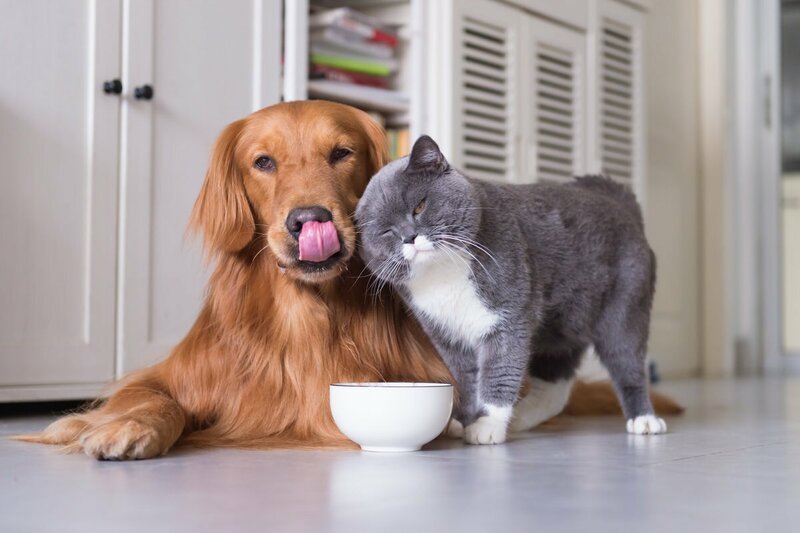 Apartment Pets: How to Prepare Your Apartment for a New Pet - Planned Property Management, Inc.
We’re wrapping up this apartment-pet themed week with some advice on how to prepare your apartment for a new pet. Bringing home a new pet is a super exciting time, but before you get to the fun stuff, you need to do a little bit of preparation. As a new pet owner, it’s crucial that your apartment be a safe and welcoming environment for your dog, cat, or anything in-between. Failure to properly prepare your home for an animal can lead to injuries, illnesses, or worse. To avoid any mishaps, follow our advice for the best ways to prepare your apartment for a new pet. Before you bring your new family member home, you should set up a place for them to eat, drink, and sleep. Prepare their food and water bowls ahead of time so they can access them as soon as they arrive. 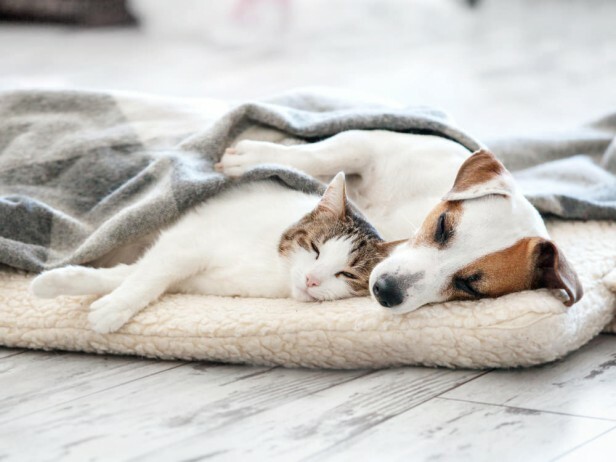 Buying or making a soft pet bed with some blankets or towels can also help them to relax. If your new pet is a cat, you must set up the litterbox ahead of time to avoid any unwanted accidents. Open trash bins are hot targets for curious dogs (and sometimes cats!). 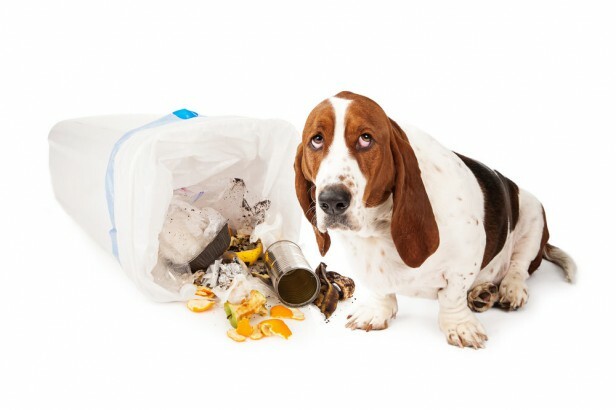 To keep your pet safe from ingesting potentially dangerous foods (and from making a big ol’ mess in your kitchen), keep a tight lid on your trash and recycling bins. We recommend finding one with a lid that clicks shut, so you’ll know it’s closed good and tight. Swinging lids don’t always work for pets who are partial to pushing things over. Many animals are naturally curious, meaning they tend to stick their nose in places they don’t belong. This includes cabinets filled with cleaning chemicals or medical supplies. To keep your pets safe from toxins, keep them in a hard-to-reach spot where your animals don’t have access. 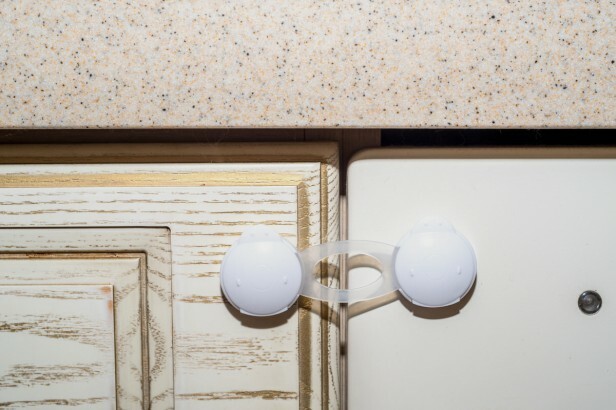 If this isn’t an option, invest in a small lock for your cabinets so animals can’t get in (child-proof locks work just fine). Animals tend to get anxious when they’re introduced to new environments. This is even truer for young pets like puppies or kittens. In these situations, it’s better to be safe than sorry. 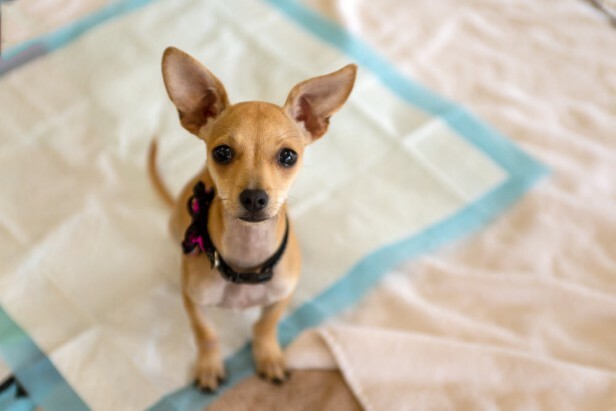 We recommend putting down some puppy pads, newspaper, or paper towels on the floor. This will make any accidents a lot less stressful (and easier to clean up).